Growth hacking is a process of rapid experimentation, which in a way has to be “scientific” by keeping in mind that is used by startups to grow, quickly. Thus, the “scientific” here is not meant in the academic sense. Growth hacking is expected to unlock growth, quickly and with an often limited budget. Growth hacking could be readily applied to anything. However, it finds its playground in digital marketing, as it is quite inexpensive and easy to track and analyze a massive amount of data. Also, in digital marketing, it is possible to experiment fast and with low costs and reversible failures. For instance, if you put up a landing page, which has already a substantial amount of traffic, you want to A/B test it. Thus, you create two versions of that page and send traffic to both and see what converts best. However, it is important to remind that things like A/B testing are tools that the growth hacker uses. In short, growth hacking is about the process and mindset that process requires. The tools, tactics, and strategies come later. Just like the scientific process, it has to be testable and repeatable. Unlike the scientific process, it has to be fast! 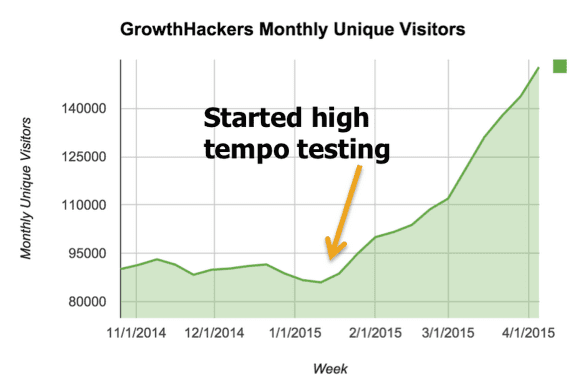 What happens when you use Growth Hacking? Growth Hacking is one of the most exciting subjects today. Not only in the marketing arena but in any other conceivable area. I’m not trying to emphasize when I tell you that growth hacking can make you become the next President of France. If you don’t believe me probably you didn’t notice that hacking growth has become the secret weapon of one of the screwiest politician alive, the new elected France’s President Macron, which used Growth Hacking to win the election (Growth Hacker Raffaele Gaito passed me this news). Long story short that is how they grew from a loft to a company worth $30billion, which we all know by the name of Airbnb. Yet that is only part of the story. In fact, Airbnb didn’t grow in a multi-billion business from a day to the next with a single magic trick. 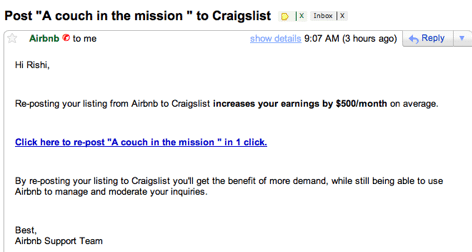 Instead, they had to undertake several experiments before seeing their listings grow. 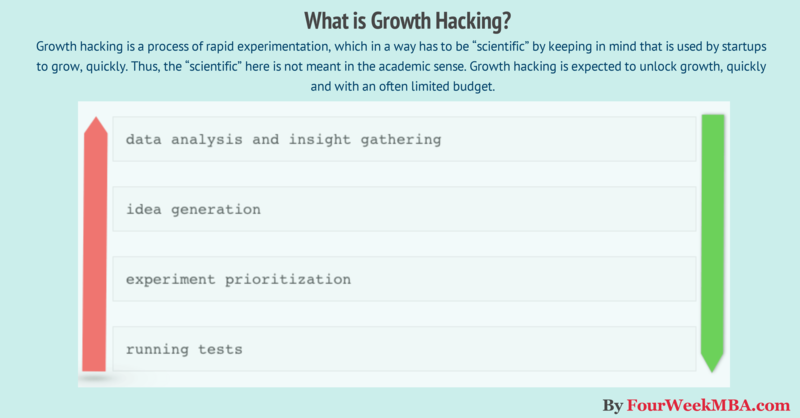 In fact, experimentation is the critical ingredient of growth hacking. For it to work, you have to experiment through a rigorous process that mixes rapid and cross-functional testing. That is what Sean Ellis called growth hacking. In short, growth hacking overturned the traditional founders’ myth. In which, one brilliant individual has a genial idea that makes the company go from a garage to a palace. Therefore, it isn’t anymore about a person but the team. It isn’t anymore about one genial idea but a process generating ideas. There’s no such thing as a growth hacker, but only a growth hacking team driven by the same mindset. The first step in hacking growth is to acquire the growth mindset. In fact, there is no tool, skill or strategy“>strategy you can use, master or implement if you don’t develop the right mindset first. That mindset starts with the way you learn. The key to pursuing excellence is to embrace an organic, long-term learning process, and not to live in a shell of static, safe mediocrity. In a world that becomes increasingly competitive the most essential skill to master is “The Art of Learning.” In his homonymous book, chess player, martial arts competitor and author Josh Waitzkin explain the two modes of learning: entity vs. incremental theories of learning. The entity theory treats intelligence as fixed and stable. The incremental theory of intelligence instead thinks of it as something malleable, fluid and changeable. In other words, if you believe in the former you will identify yourself with the activity/experiment you’re undertaking. Therefore each failure will be unbearable and a demonstration of your lack of intelligence and skills. Instead, with the latter approach, you will stop identifying with the learning process and start to see each failure as an opportunity to learn something new. In short, to develop a successful growth hacking mindset, you must remove your ego from the learning process and use an incremental learning approach. That is how you develop a growth mindset. Mindset change is not about picking up a few pointers here and there. It’s about seeing things in a new way. When people…change to a growth mindset, they change from a judge-and-be-judged framework to a learn-and-help-learn framework. Their commitment is to growth, and growth take plenty of time, effort, and mutual support. Once acquired the incremental learning method and the growth mindset, there’s a third non-trivial aspect of growth hacking, the scientific mindset. It doesn’t matter how beautiful your theory is, it doesn’t matter how smart you are. If it disagrees with experiment, it’s wrong. If you want to build a growth hacking team, you got to have a scientific mindset. The method to follow is pretty simple. Identify a problem, do some research, form a hypothesis, do an experiment, analyze your data, and draw conclusions. It doesn’t matter how beautiful your theory is if it doesn’t match the data then it is wrong! In short, every decision has to be data-driven and based on the actions of the users rather than on the beliefs of the founders. The process is simple yet powerful. From data analysis to testing and back to that analysis, the loop of growth must be followed consistently. As Davis Jones, author of the Udemy Bestselling course Growth Hacking Masterclass in Digital Marketing multidisciplinarity is the norm. SEO, email marketing, social media, copywriting and online advertising are the necessary skills to acquire to thrive in the digital marketing world. In this scenario, there are a plethora of tools out there yet quite a few able to help you achieve success. Let’s see some of them. Now that you got the right mindset it is time to start using some tools. 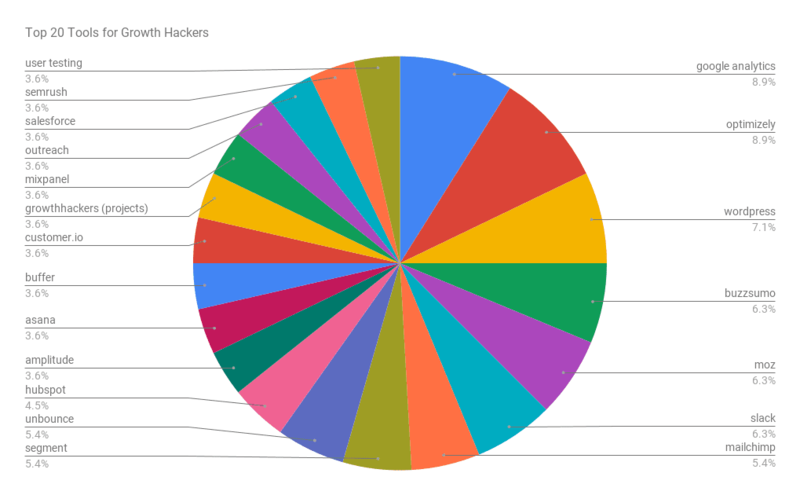 GrowHack.com drafted an incredible spreadsheet about all the tools used by the greatest growth hackers for each funnel stage, which you can get from here. 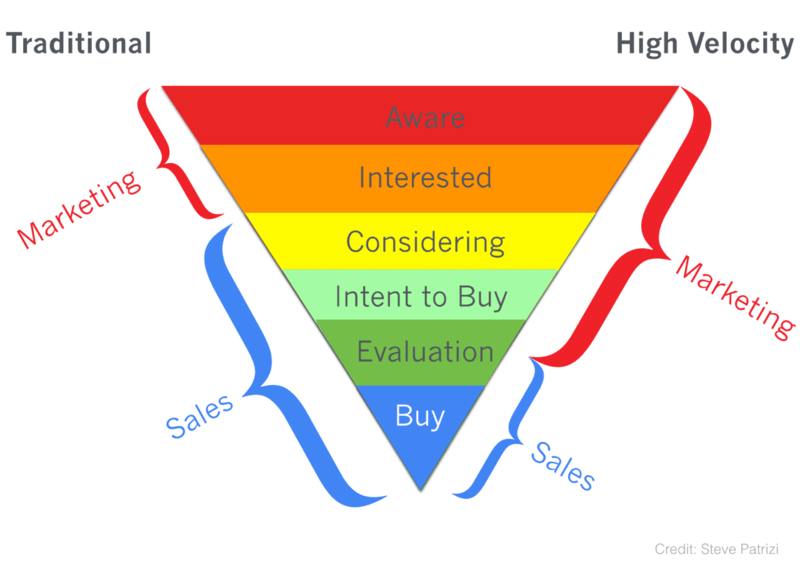 You can find a more comprehensive analysis done by GrowHack.com on the SaaS marketing stack per funnel stage.